Captain Phasma is serious about the First Order! 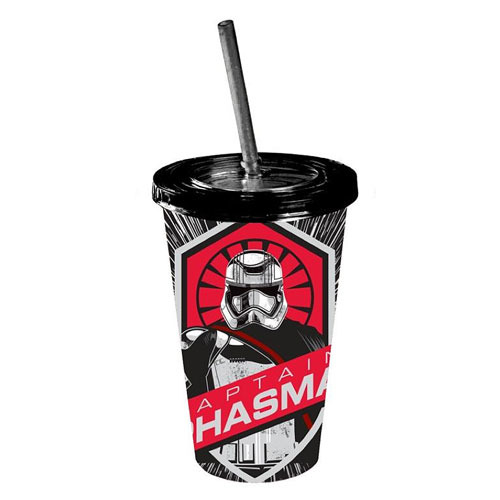 This Star Wars: Episode VII - The Force Awakens Captain Phasma 16 oz. Travel Cup features a cool image of Captain Phasma with the Power symbol behind her. Holds up to 16 ounces of liquid! Hand wash only. Not dishwasher safe. Do not microwave. Measures approximately 6-inches tall. Ages 15 and up.